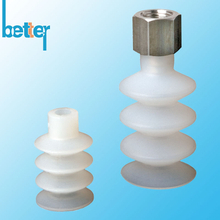 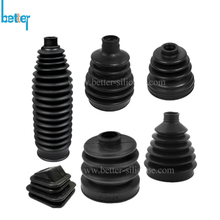 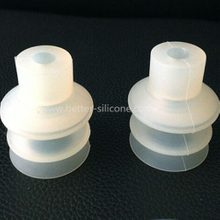 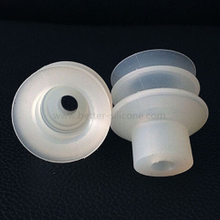 Silicone Bellows & Rubber Bellows, known as silicone expansion joints, convoluted rubber cover & dust boots, which made from elastomeric silicone rubber materials, as a protective cover & sleeves to dust proof, anti-oil, water proof and other environment elements in aim to keep equipment preformance in medical device, machine, antomotive, pumping, packaging industrial, baby care production etc. 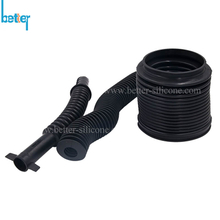 Rubber Bellows Materials: EPDM Rubber Bellows, Nitrile & Buna N Rubber, Neoprene & Chloroprene Rubber, Fluoro rubber & FKM, FVMQ, PTFE etc. 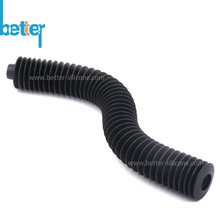 Rubber Bellows Shapes & Types: Single convoluted & muli corrugated bellows; Tapered, Straight, Rectangular, Axial, Flat, Flanged rubber bellows, Second molding & over molded with plastic & metal & stainless steel clamp or locks, Bellows Suction Cups etc. 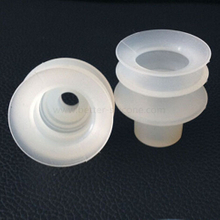 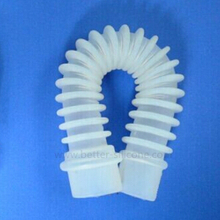 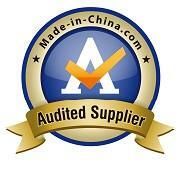 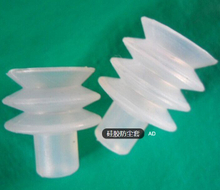 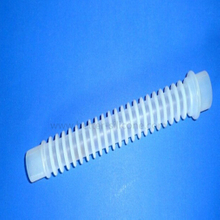 Rubber Bellows Application: Medical Device, Machine, Automotive, Pump etc.